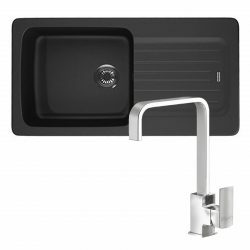 This stunning SIA 60cm ceramic hob offers multiple benefits to ensure your cooking needs are met. As with all SIA products, this hob provides you with a top quality, high performing product for years to come. For peace of mind, this model provides you with features such as residual heat indicators, a child lock function and an automatic switch-off mechanism. 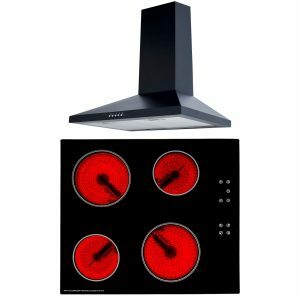 • Detecting whether cookware is present and automatically turning the elements off whenever pans are removed from the surface. 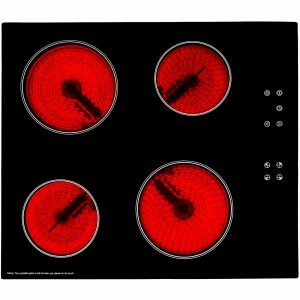 • Locking the hob functions to ensure safety in the kitchen when children are around. 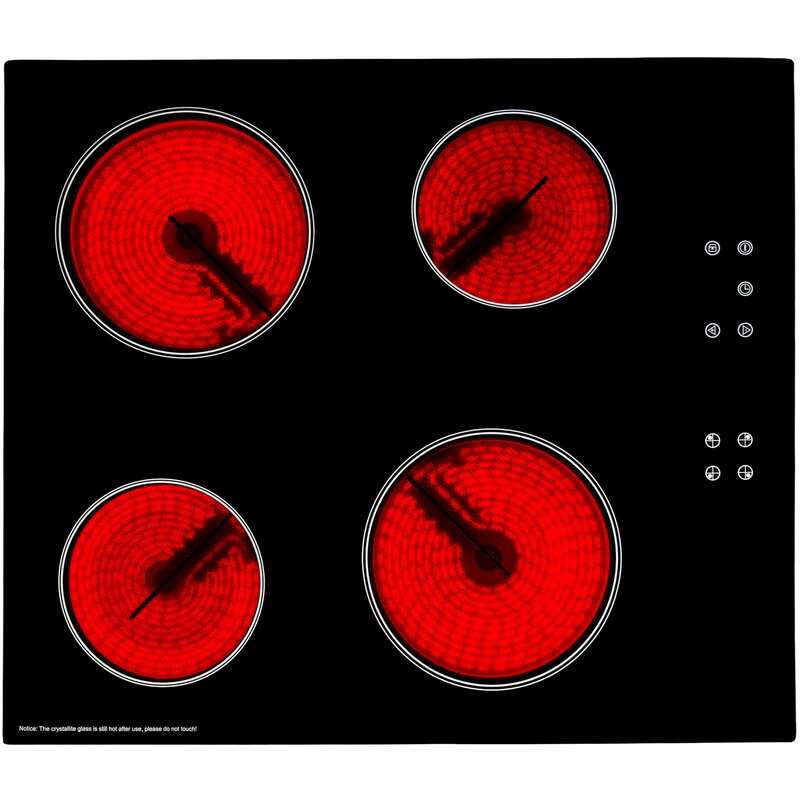 This hob also provides you with 9 power levels and 4 cooking zones, enabling precise control over your cooking and accommodating for plenty of cooking space, making this ceramic hob and all-round excellent buy! With an easy clean surface, maintenance is practically effortless, meaning your hob can be kept in pristine condition! 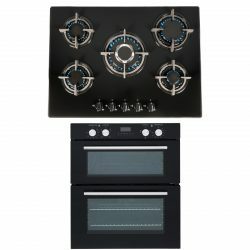 Furthermore, its sleek touch control design gives this hob a modern finish, perfect for contemporary kitchens. 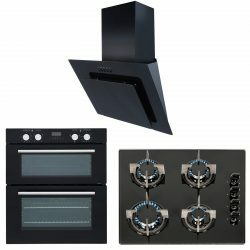 Together with the ceramic hob, as part of this package you’re provided with this stylish SIA black 60cm chimney cooker hood, which removes odours and grease from the air whilst you cook, keeping your kitchen crisp and clean. 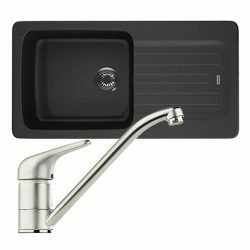 • Dishwasher-proof grease filters, enabling you to keep this cooker hood glowing, emphasising the products elegance! 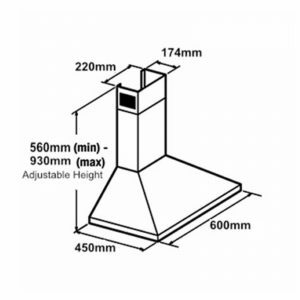 This particular chimney cooker hood is suitable for ducted or recirculated installation. 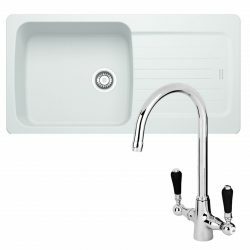 Both options offer different benefits to your household, depending on your budget and the layout of your kitchen. Whilst externally vented extractors remove smoke as well as grease and odours, recirculated hoods are easier to fit. 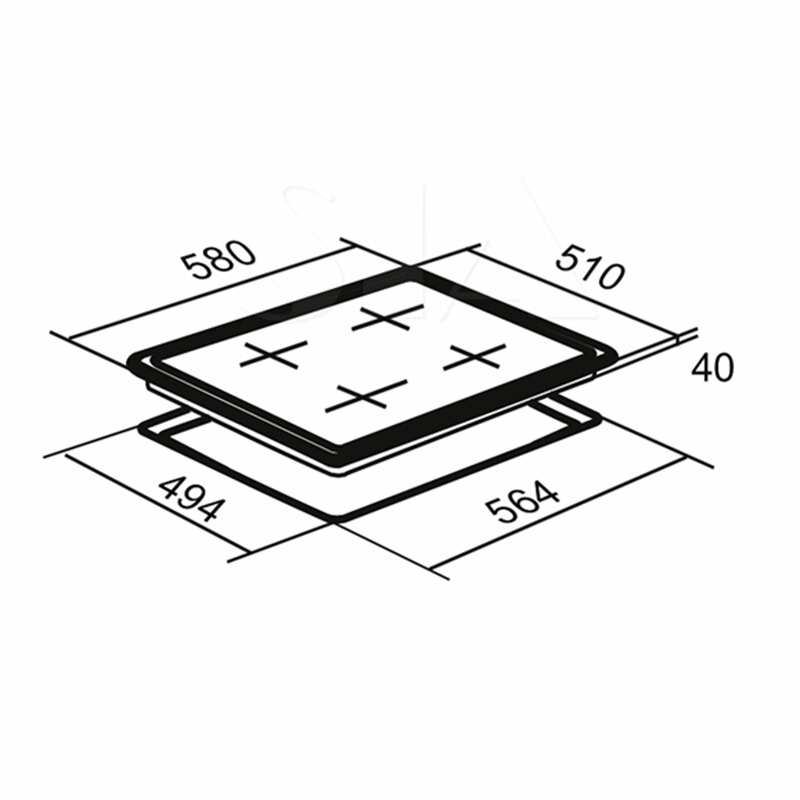 If you know which method of extraction you will require, just add the charcoal filters or the ducting kit to your order before check-out. Both appliances in this package comes with a 5 year parts and 2 year labour guarantee, meaning its high quality can be maintained for years to come! 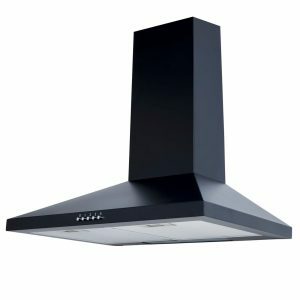 This stylish SIA black 60cm chimney cooker hood removes odours and grease from the air whilst you cook, keeping your kitchen crisp and clean. making you’re cooking experience stress-free which is what we want. 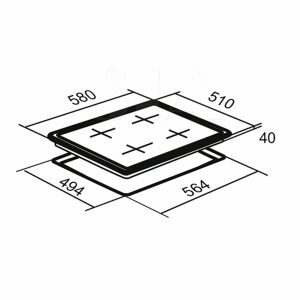 is suitable for ducted or recirculated installation. 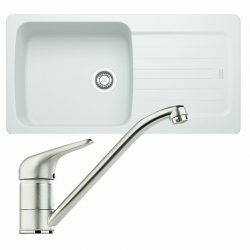 Both options offer different benefits to your household, depending on your budget and the layout of your kitchen. 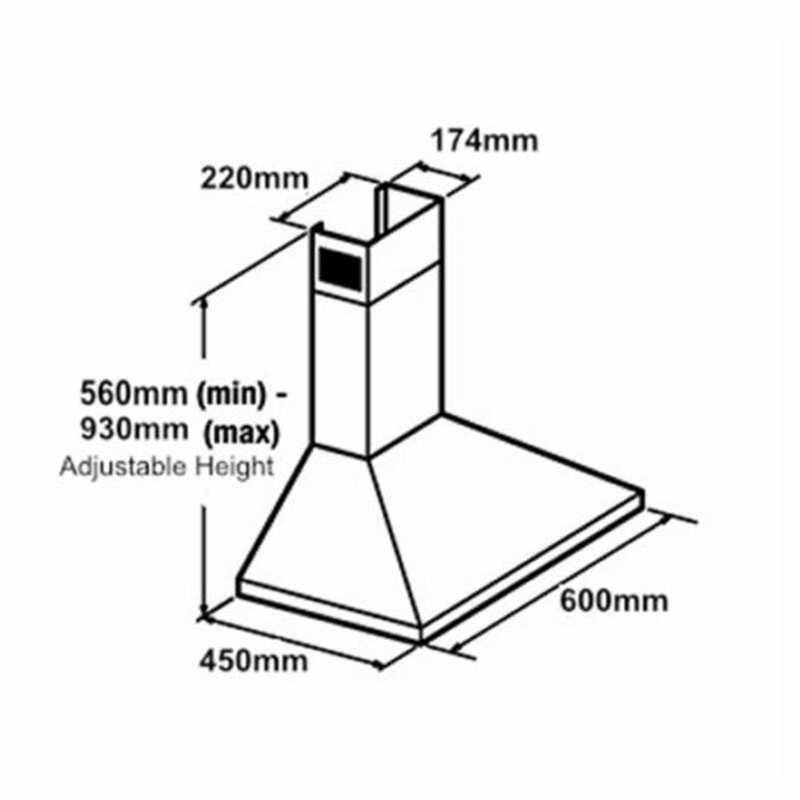 you will require just add the charcoal filters or the ducting kit to your order before check-out. With the 5 year parts and 2 year labour guarantee, this product ensures quality is maintained to maximise customer satisfaction.